Thread: Long rides: a must have? I won't need a review, just let me borrow the seat . . . . and the bike, so I can judge for myself! +1 Those are great for long rides. 4 Wheels move the body. *Soul movement not applicable to scooters, mopeds and motorized bicycles. Certain models have been linked to spleen movement, but tests are inconclusive at the writing of this signature. 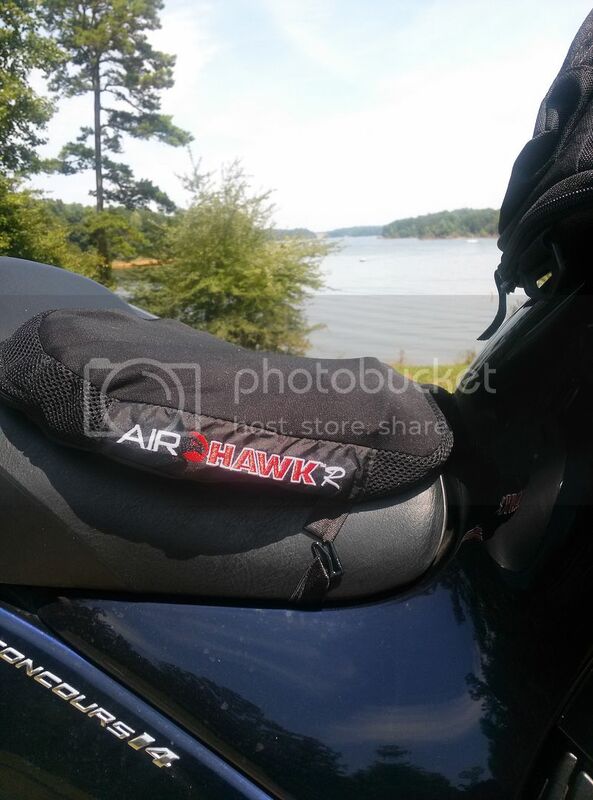 The Airhawk is great once you adjust the air to your liking. I did 10,000 miles in 18 days with one on my VFR. I'd like to get one for the misses. Might have to check this out! 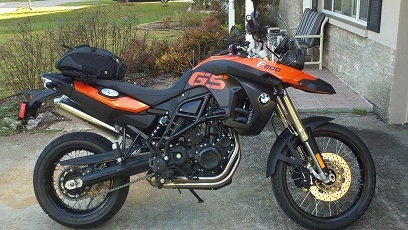 Used it when I rode up to PA (two 500 mile days each way). Once you get it adjusted those things are amazing. i would definitely recommend for the rides you do. Last edited by elicate; 08-05-2013 at 08:43 AM. Wich model exactly did you order? All they say on the website is about cruisers and sport tourers. Steve what size did you get? 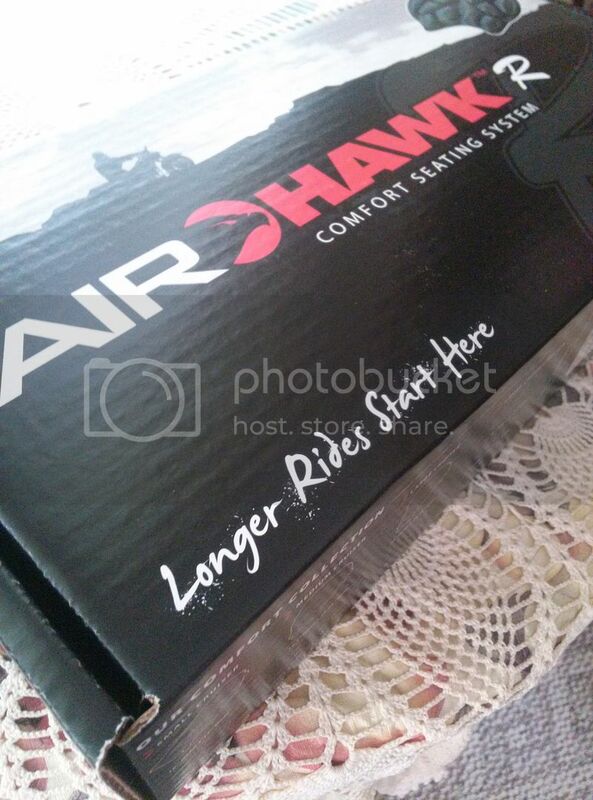 Ah, it appears that air hawk r is the size and model name..
None for the R1, Which one would you all suggest? Re: Long rides: a must have? I splurged for the R model. 159, Amazon.com has it cheaper than the airhawk page. It is flat awesome! Why didn't you guys tell us about then before ? I wanna try that. This may be the ticket to that key west trip. Try cutting out a piece of paper in the dimensions of the different size pads and see which size seems to work best for your bike. The pads are about 2" thick. I have the 14" x 11" if you want to try it out. I'm pretty darn sure the Airhawk site has a fitting guide. I did 19 hours in the saddle yesterday as a result of this thing. Combo of red dirt roads, slow twisty roads, and superslab. I'd have done 24 hours but messed around and took Ronda to dinner in Dothan Al. Yes, I would like to see it and try it out. Let me know when you will be out and about with it.